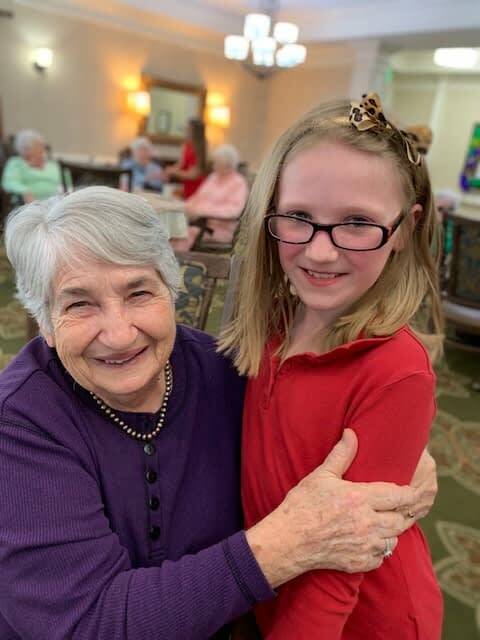 Morning Pointe of Danville (KY) resident JoAnne Andrews gets a special hug from her friend, Danville Christian Academy student Lara Kate Sears. 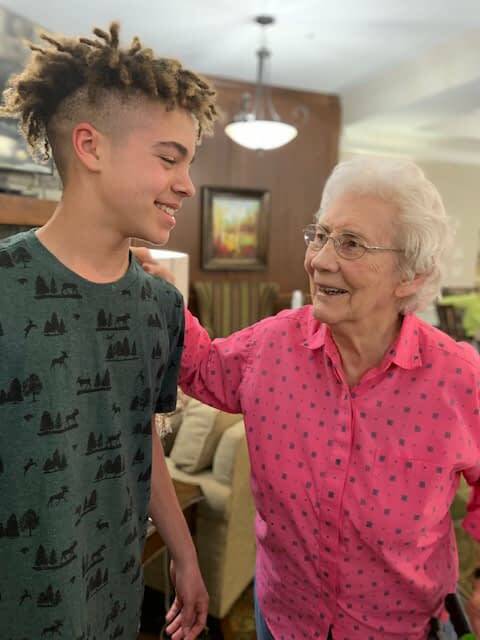 Morning Pointe of Danville (KY) resident Laura Dunagan joins students Victor Gomez and Patrick Weldon from Boyle County High School’s community-based instruction class to make fleece infant caps, which will be donated to the Crisis Pregnancy Center. 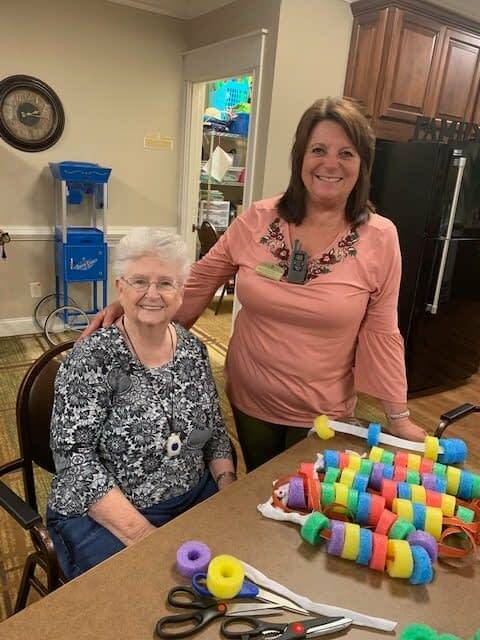 Morning Pointe of Danville (KY) resident Janice Pullam shows Lantern Program Director Sherry Brown the noodle and string fidget spinners she and other residents from the personal care community made to share with residents in The Lantern memory care wing of the building.